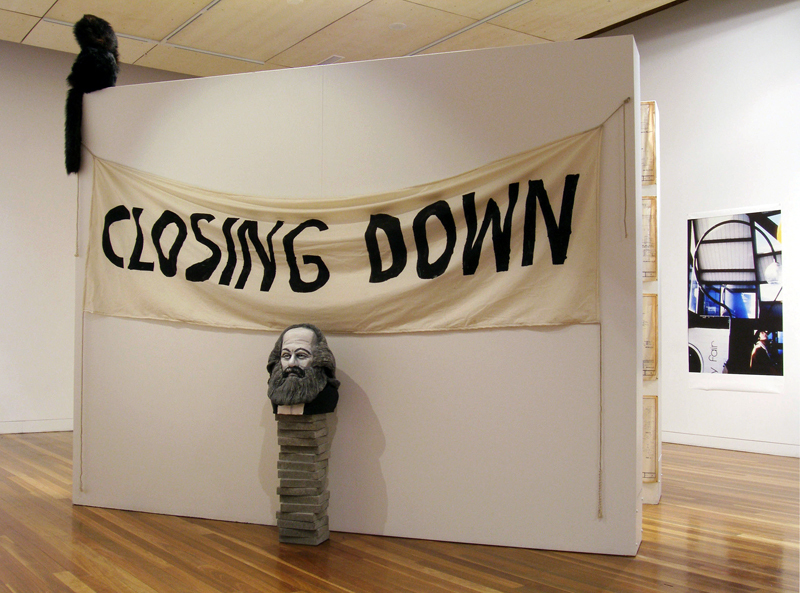 Much critical theory of the 1980s sought to distance itself overtly from what, by then had come to seem the burdensome and unwieldy legacy of Marxist analysis. This was especially the case after 1989 and the collapse of communist regimes around Eastern Europe. As many commentators have mentioned, this period was also contemporaneous with the rise of much opportunistic writing touting the ultimate triumph of Western neoliberalism. As perhaps something of a revenge on the self-serving orientation of such self-congratulatory ‘critical’ musings, ‘the Spectres of Marx’ – so presciently noted by Jacques Derrida at the time – have made an undeniable comeback. Note the global phenomenon of the Occupy Wall Street protests, but one of a multitude of related oppositional events that have increased in frequency and magnitude over past years. While such mass expressions are by no means ‘solutions’ or even strictly ‘Marxist’, they are a very visible indicator of the significant disaffection of an undeniable percentage of contemporary subjects unsold on the dominant values of the contemporary West. 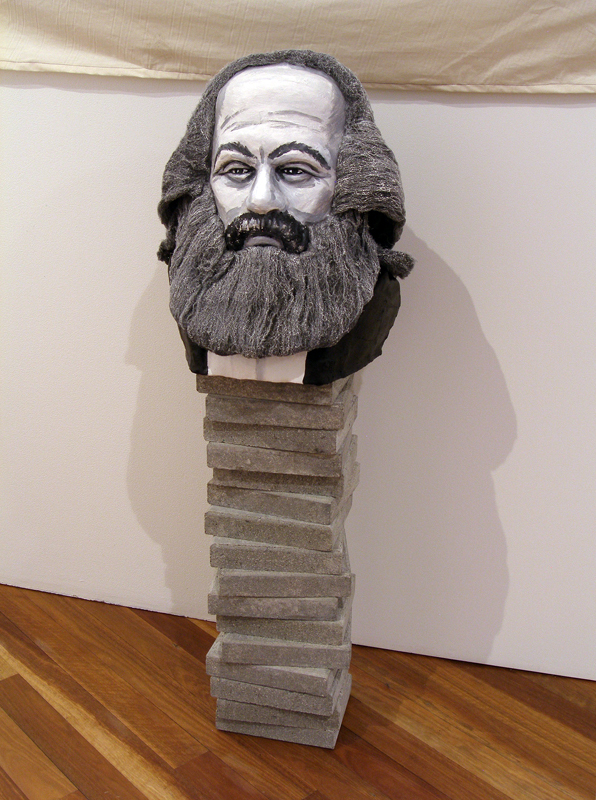 In this work Untitled (Capital)… Marx has ascended from the bottom of the pile to the top while still unable to escape the rubble of history, the stack of blank concrete ‘tomes’ upon which he is perched. 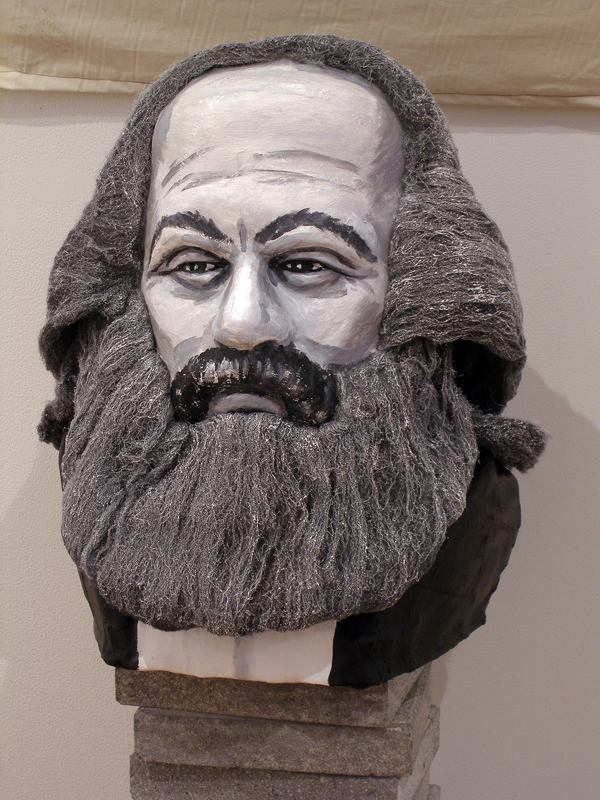 Here an approximation of the iconic once mass-produced, bust of the Marx appears as a type of cipher; a hand-made ‘folk icon’ suggesting Marx’s re-emergence in the present. Certainly the contemporary ‘sketch’ of his image is proving particularly compelling for those previously unexposed to the extent of his critique. Yet what is the place of Marx in art? Obviously the answer to this question remains, and must remain, ambiguous and insoluble. Certainly there is no such thing as ‘Marxist art’ that could be genuinely named as such. Nonetheless, there are practices capable of an awareness of Marxist legacies that perceive a greater role for art other than as inventive decoration or convenient capitalist spectacle.